Moloaa Bay is considered on the north end of the east coast of Kauai or on the east end of the north coast. It depends who you ask. 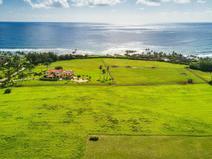 Moloaa is known for its bay and rustic community. The only visible commercial business there is the Moloaa Sunrise Fruit stand, which marks the entrance to Moloaa. 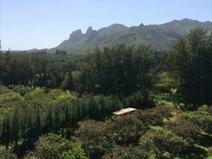 You reach Moloaa by turning off the highway on to Koolau Road. Moloaa Road is accessed from Koolau Road and meanders down to the bay. Moloaa Bay is fed by Moloaa Stream from the Moloaa Forest Reserve. Rustic & Picturesque, the pilot for the classic television show, Gilligan’s Island was filmed there. The bay is beautiful with a nice beach but it can be rough and there is not much parking or any facilities. 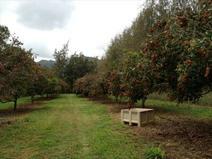 The area of Moloaa is good for farming and there are a number of farms in Moloaa. 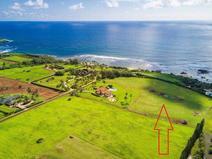 Moloaa Bay and area is dotted with beach homes, homes by the stream, and larger Agricultural parcels. 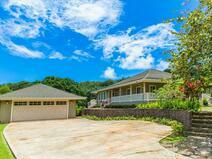 It’s a great area for those wanting a quiet tropical environment and lifestyle.